Stars, as astronomers and space geeks know, are hot. Nuclear-fusion hot, enough to warm an entire planet 93 million miles away (that's us, guys!). Of course, they burn at a wide variety of temperatures, corresponding to the color of their emitted light--from the 52,000-Kelvin blue-white Class O stars, to our familiar 5800 K yellow Class G sun, all the way to seemingly chilly 700 K brown dwarfs. A newly-confirmed class of stars, though, requires an understanding of "hot" that's much more prosaic than the critical point for nuclear fusion--think of a warm spring day, one where your air conditioner is broken. A new study by NASA, part of the WISE mission, has collected evidence of the very coolest of star classes: the room-temperature Y dwarfs. Although Y dwarfs had previously been modeled by astronomers, no observers had been able to catalogue any specific examples of the temperate little stars until NASA's Wide-field Infrared Survey Explorer (WISE) picked up traces of their weak infrared glow. Between January 2010 and February 2011, the survey's telescopes discovered six stars within 40 light years that fell into the Y class: below 600 K, emitting only in the infrared spectrum. One star, WISE 1828+2650, has an atmospheric temperature of less than 298 K--one of those numbers that makes chemists' ears perk up, as that's about 25 degrees Celsius or 80 degrees Fahrenheit: room temperature. 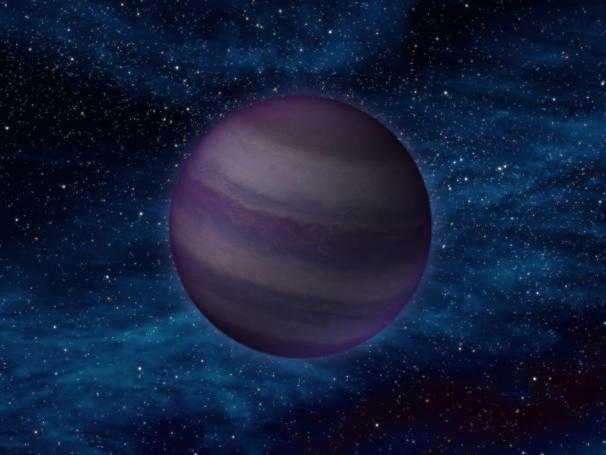 Brown dwarfs, and their even more lethargic cousins the Y dwarfs, coalesced with too little mass to reach the critical point for nuclear fusion to begin. Instead of emitting fused atoms like helium, oxygen, carbon, or any of the rest, brown and Y dwarfs only ever sent out radiation, which has faded in energy over the lifetime of the stars into the infrared emission spectra they display today. Such cool objects are of interest to astronomers because their atmosphere is very similar to that of gas giant planets--but they can be observed without any interference from parent stars, as Y dwarfs are often alone in space. They also give astronomers a chance to study the formation of stars, comparing successful nuclear-fusing stars to the "failed" Y dwarfs. The NASA report links to several more articles and a bunch more information--check it out!